Kenekts is a collective of consultants that represent independent subject matter experts (SMEs) and together we co-create digital products and services that make a real difference in other people’s lives. Susan is a creative and business-minded marketer with a knack for making connections both on and offline. She has a notable business network of colleagues, business leaders, and iconic personalities that she’s cultivated over the course of a 27-year career in brand and entertainment media. Susan’s expertise in the curation of ideas, construction of strategic partnerships, and fostering of thought leadership has helped her make valuable contributions to power brands such as Ford/Lincoln, Walmart, Mercedes-Benz USA, Reebok and EA Sports as well as multi-platform media entities including BET Networks, OWN, Spike TV and The New York Times. Susan’s light shines bright when she is flexing her creative muscle and building transformative digital marketing programs that make powerfully authentic connections. Susan’s heritage, work style, and lifestyle are reflected in the products and services that Kenekts offers to clients who desire a life of freedom. Authentic living, passion and a natural-born curiosity causes her to continuously expand both personally and professionally, striving to make an impact on her clients. Through guided project management, she encourages her clients to remember that they are human beings, not “human doings” and to enjoy the process of creation. Susan’s “why” is F.R.E.E.D.O.M. Find Passion. Realize Goals. Eliminate Fear. Embrace Change. Design Pathways. Open Minds. Manifest Abundance. Brian is a visionary leader with a track record of working with exceptional talent and building iconic brands. He is one of a handful of executives with deep experience in marketing, media & entertainment, and technology. He has enjoyed a successful career in high-level positions such as Vice President of Marketing for FOX Broadcasting, Vice President, Global Head of Brand Strategy for eBay Inc., and most recently as CMO of Red Bull and President of Red Bull Media House. Brian has collaborated with the industry’s top producers and talent, and he has deep experience in storytelling through advertising, original content, television programming, and film. With more than 20 years of experience building iconic global brands, his work has won numerous awards and he has been recognized as one of the top 100 Marketers in the U.S.
Based in Venice Beach, California, Brian lends his wisdom, knowledge and shared passion for this business and is a true asset to the Kenekts team. Rachel is a Managing Director at Mercury, a leading national, bipartisan strategy firm based out of the New York City. She practices strategic communications, crisis management and public affairs, along with community engagement in electoral politics and business. Rachel has over two decades of experience in Communications and she has been positively featured in The New York Times, The Washington Post, The New York Daily News, The New York Amsterdam News and other publications for her work in Communications. 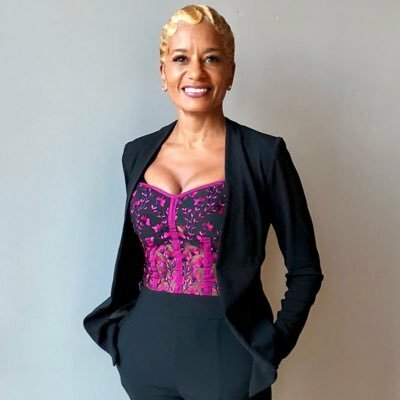 In 2008, she was featured in Essence Magazine as one of the top ten females in the country making strides in her respective field, and she has been called “the public relations force behind Rev. Al Sharpton” whom she has advised in communications since the late 90’s. Rachel brings her PR wizardry, press connections and strong desire to empower others to the Kenekts team and clients. We are lucky to have her! Our creative house Smartbomb Studio, fuses together artistic design and functionality to create digital environments that benefit the instructor and the learner. Headed by Ron Croudy, Smartbomb’s portfolio includes website and creative designs for notable clients including Terry Crews, Usher, Aaron Neville, and A Tribe Called Quest as well as corporate brands in the beauty, apparel, restaurant industries. Smartbomb is extraordinarily creative and Kenekts is excited to have them on the team. Robin is a true gift to the Kenekts team. Her career began in advertising and media, but her desire to make an impact on young people lead her to a career change. For nearly 24 years, Robin served in various administrative roles including Curriculum Coordinator for several Chicago Public Schools (CPS), empowering as many young adults as she could that crossed her path. Recently retired, she now spends time pursuing her passion as a college preparation authority who assists parents and their teens on the pathway to college, revealing that education could give them the OPTIONS needed to secure a life of FREEDOM.